Hello! I hope this post finds you well. I am on spring break from school and I AM LOVING IT! Sleeping in, making cards, playing games with the kids…it is so good to stop and unwind from work. 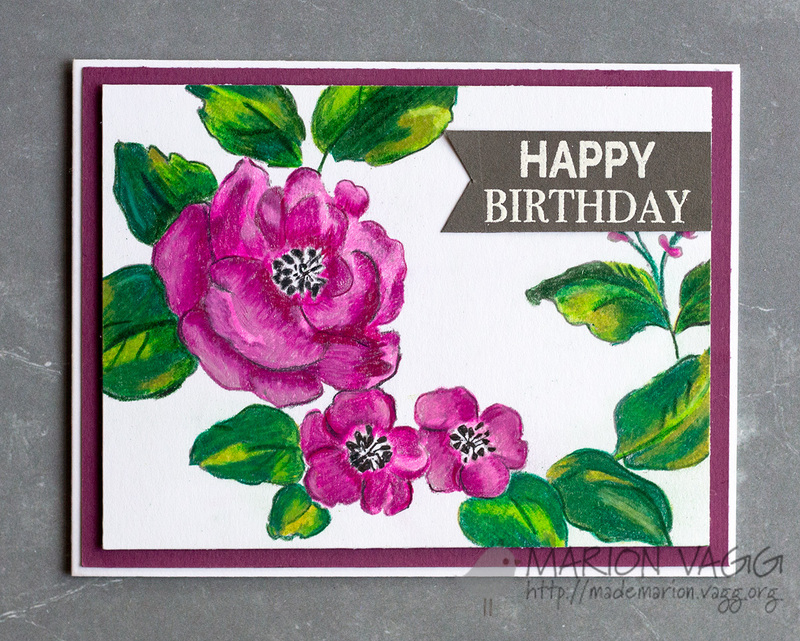 Today I have a card for Penny Black that uses a technique that I have never tried before! I guess it is no-line colouring, but for me it was so good to get out the Prismacolor pencils and blend and play! This wasn’t a quick card to make, but I sure enjoyed the colouring process. The stamp I used is the Penny Black Garden Gems rubber stamp. I stamped this is VersaFine Smoky Grey ink. The great thing about this stamp is that it shows the shading, so it helps me to know where to put the shadows and highlights. The sentiment is from the Penny Black Happy Critters stamp set and was white heat embossed onto some grey card stock.